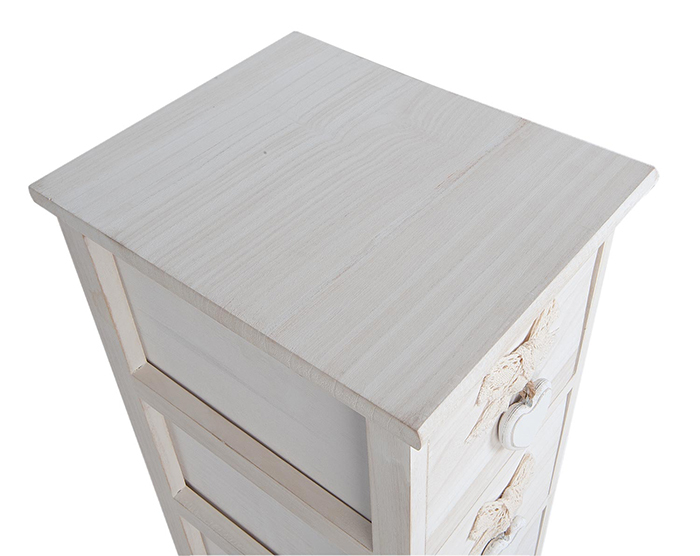 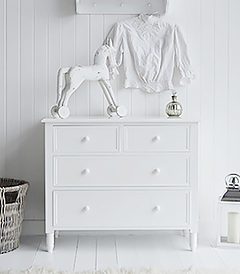 The New England chest of white drawers with two different sized larger drawers and two smaller top drawers with white knob pull handles. 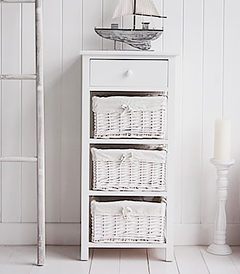 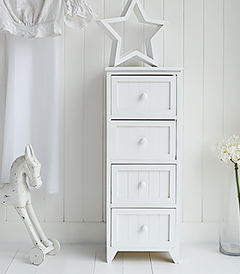 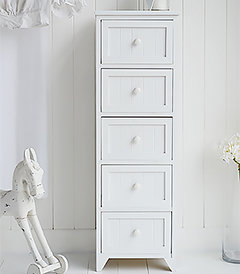 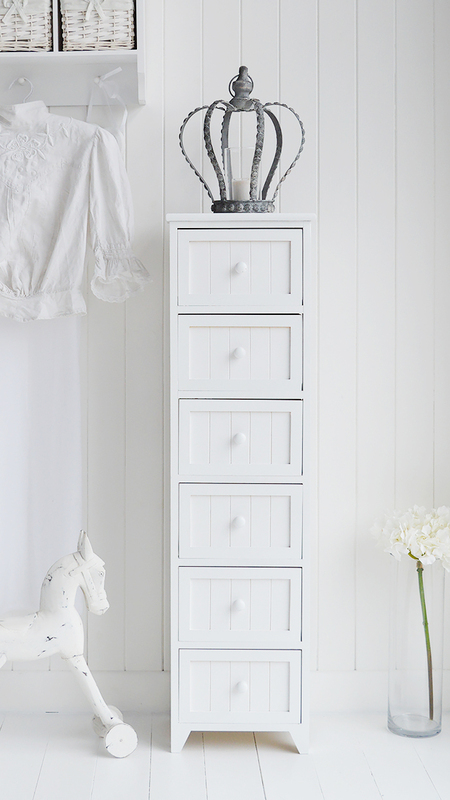 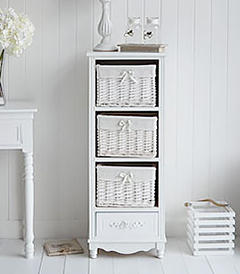 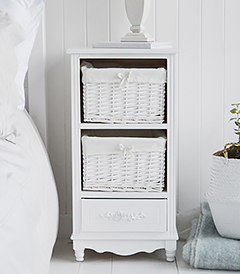 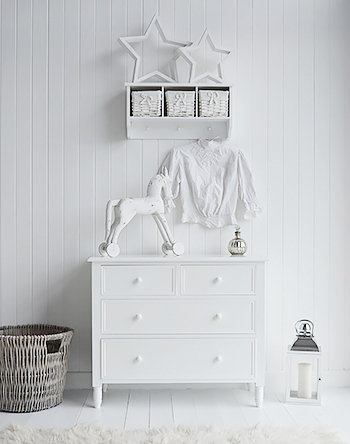 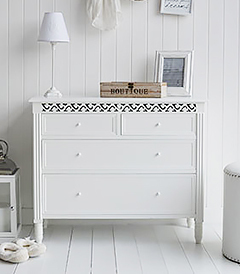 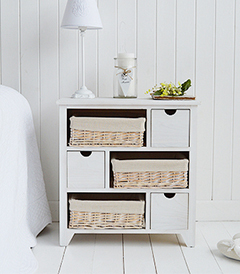 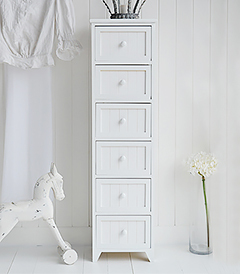 Our New England range of white furniture offers a simple, classic style for every room in your home. 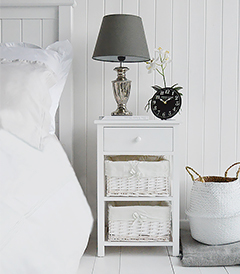 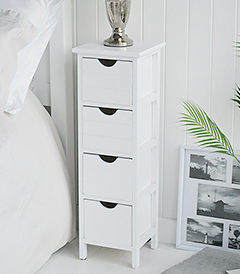 A compact and functional tall white bedside table that has been specifically designed by The White Lighthouse team to fit smaller bedrooms.